The post Disney and Lucasfilm Narrow Their Search For a Young Han Solo: Shortlist Revealed appeared first on Star Wars News Net. 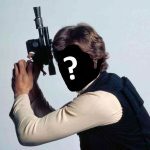 Could Disney/Lucasfilm Be Planning a Han Solo Trilogy? Woody Harrelson Joins the Young Han Solo Spin-Off Film!